Welcome to Mittelman Observatory at Middlebury College! 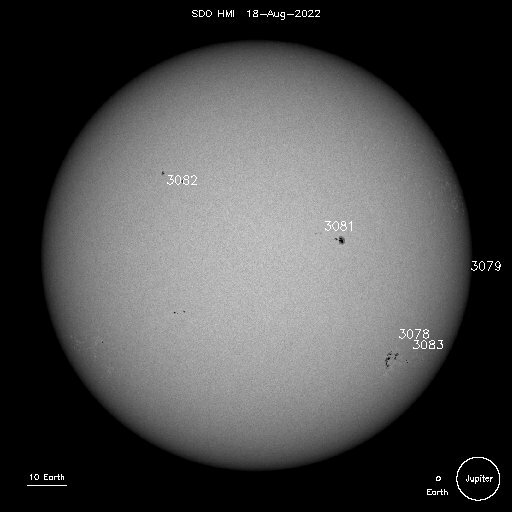 Spring 2019 stargazing events and their status. Sign up for Observatory News e-mail updates. 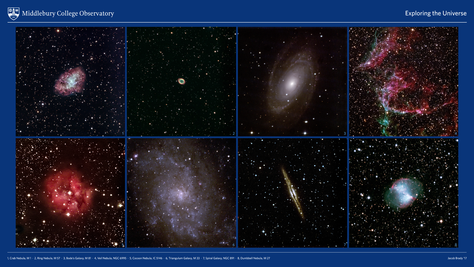 In the sky: Explore highlights of what’s up in tonight’s sky. 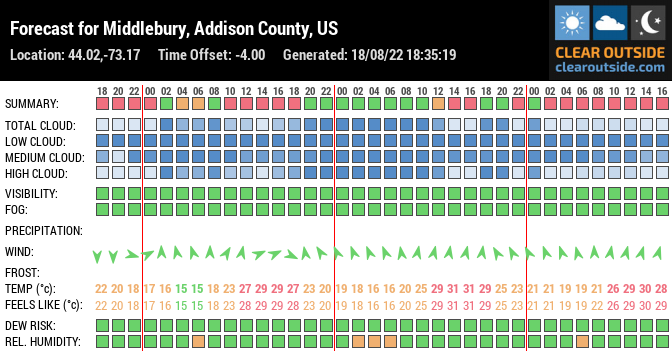 (obtained following major Observatory upgrades). 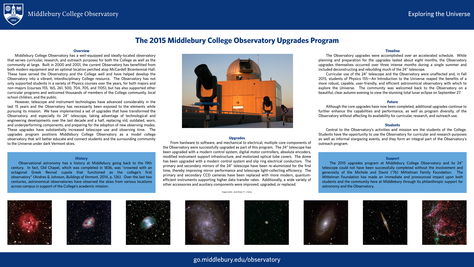 The 2015 Middlebury College Observatory Upgrades Program. J-term Scenes: Measuring the Earth as the Ancients Did. Eilat Glikman Receives a Grant from the Space Telescope Science Institute. Phys 500, 704, & 705 research projects. 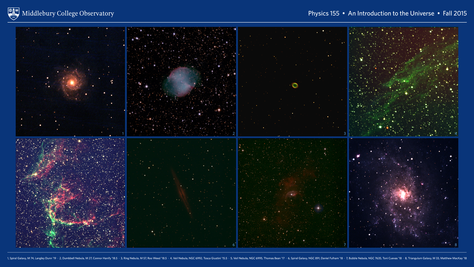 For Midd students: Physics 155, An Introduction to the Universe, Physics 370, Cosmological Physics, Physics 1105, Ancient Astronomy.